Do you intend to buy a property on the Costa del Sol this year? If so, whether you intend to buy a stunning 4-bedroom villa with breathtaking views in Benalmadena, or a beautiful reformed 3-bedroom property in Mijas Pueblo, you'll want the best exchange rate. After all, when the exchange rate is flying high, you receive a higher euro total in your Spanish bank account, to buy your dream Costa del Sol property! With this in mind, what can you do to ensure you maximise your euro total, when you exchange currencies this year? Well, here are some easy tips to help you. 1. Look at transferring your money to Spain as soon as you can. This is because, the sooner you start to look at transferring your money, the bigger the window you give yourself for a great exchange rate to become available. For instance, between October and December last year, the pound jumped +9 cents against the euro. Hence, it pays to get a head start! By contrast, if you wait until the last minute to exchange currencies, you'll have no choice but to accept whatever exchange rate is available at that time. Given this, in currency exchange, the early bird gets the worm! 2. Accept a good exchange rate when it becomes available. When we transfer money, it's tempting to wait and see how high the exchange rate goes, to try and maximise our foreign currency total. The thing is though, the foreign exchange market is extremely volatile, meaning that a favourable exchange rate can quickly tumble. With this in mind, to ensure you get the euro total you need to buy your Spanish property, transfer money as soon as a favourable exchange rate emerges. This will protect you from exchange rate volatility, getting your Iberian dream off to a great start! 3. Exchange currencies with a money transfer specialist, instead of your bank. When we transfer money, it's tempting to go straight to our bank, and exchange currencies there. After all, we use the banks for most finance-related things, so it's what springs to mind. The thing is though, the banks know this, and so use this as an excuse to offer unfavourable exchange rates. By contrast, when you transfer money with a foreign currency specialist, you can save a huge sum. This is because currency brokers take a smaller margin than the banks, and pass the savings onto you! 4. Fix your exchange rate with a forward contract, to protect yourself from currency volatility. Are you concerned that the exchange rate may fall, between now and when you intend to complete your Spanish property purchase? If so, you can guard against future declines in the exchange rate, by setting up what's called a forward contract. With a forward contract, you lock in your exchange rate, so that even if sterling weakens in future, you get the better rate you've fixed. Hence, you can rest easy that you'll receive the euro total you need to buy your Spanish property! 5. Get guidance from a friendly, professional currency dealer. 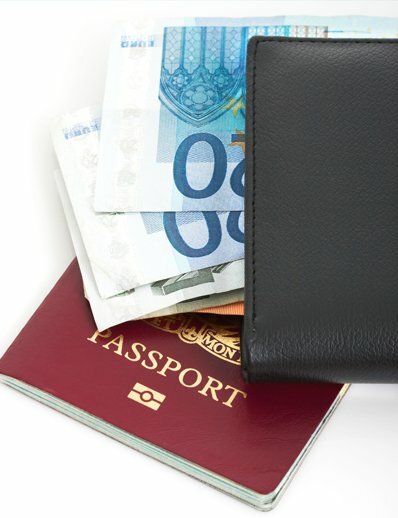 Is this your first time transferring abroad a significant sum of money? If so, you may have questions about how the transfer process works, or what's affecting the exchange rate at present. With this in mind, for guidance, just speak to a friendly, professional currency dealer. He or she will answer your questions in clear, straightforward language, to give you peace of mind for your transfer. This way, exchange currencies to buy your beautiful property in Spain will be a pleasure, and totally stress-free! With these 5 tips, you’ll get a fantastic exchange rate to buy your Spanish property. Keep in mind!